A lounge in Fairview House, the newest dorm on Butler’s campus. The sophomore dorm offers lounges and game rooms on several floors. Collegian file photo. Every year, Butler’s financiers divvy up whatever pot of gold has amassed from tuition, donors, ticket sales, etc. Plans for a gleaming 25-million-dollar monstrosity overshadow other budgetary concerns, like why Jordan Hall’s ceiling has been oozing into a plastic bucket for a decade. I doubt the Board of Trustees is open to student suggestions, but here are some suggested budget cuts. Please, sir, could we have no more? Aramark’s concoctions wreak havoc on digestive systems and bank accounts campus-wide. For just $3,415 per semester, enjoy all-hours access to all-you-can-eat wholesale ham and a broken ice cream machine! Here’s something that’ll make you choke on that Atherton turkey burger: Butler’s dining website introduces itself with “it’s hard to miss ‘home cooking’ when you have it right here at Butler.” Most Google searches of Aramark will lead to news of prisoners’ strikes against the corporation. This academic scheduling tool is everyone’s worst nightmare; it could use some virtual Feng Shui. Beyond its bizarre layout and irrational click sequence, it’s ridiculously expensive to operate on a collegiate threshold— yet still comes crashing down, as it did on February 16th. Moodle hasn’t updated its “Moodle Partners” contact sheet, which would provide a direct cost report. Here’s a lowball: eLearning Industry estimates that, with recurring costs, a 3000-person Moodle user-base, with monthly traffic of 500 users, would cost close to six figures every three years. Whew. Hopefully event parking brings in some cash, because otherwise the cement eyesore is defunct. I’d guess the highest-grossing establishment is Scotty’s Dawghouse — those three-buck Millers lend a safe space for drinking, sans BUPD annoyance. It’s not much of a competition. Pita Pit is literally deserted, and Metro Diner, perpetually half-empty, whips up whatever bizarre breakfast food combinations they think might keep them afloat. Blueberry cheesecake stuffed waffles, anyone? The garage itself is flooded by the angry tears of commuters and faculty, who are now forced to the top levels, surrendering the lowest level to visitors only. All hail the Butler Basketball bureaucracy, which governs the complex. Butler supplies any and all Nike swag for their precious athletes, from necessities like jerseys and mouthguards to seasonal leggings and personalized down coats. Butler’s 18 teams necessitate varying amounts of gear, but everyone seems pretty well-taken care of, and puts the rest of plebian campus athleisure to shame. 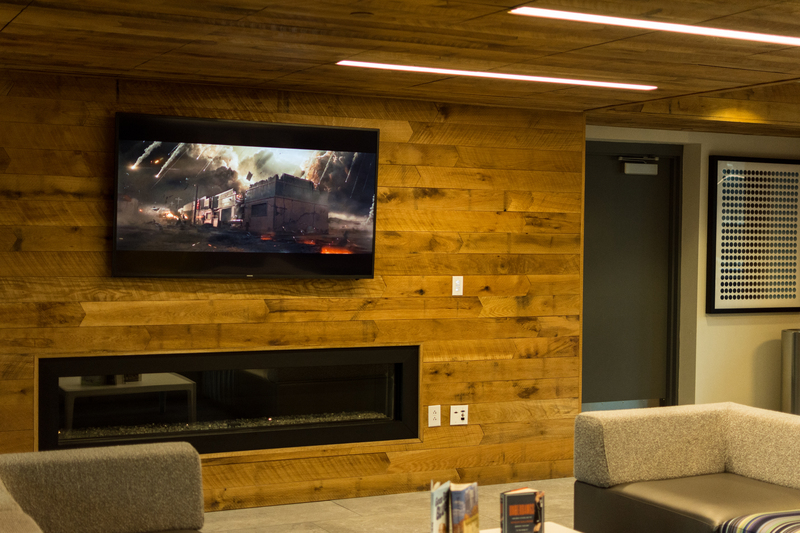 Butler’s plethora of TVs have turned C-Club into a second-rate sports bar, and Fairview into a sleek Hunger Games apartment complex — it’s basically a fight to the death for a pod there, too. No human being needs three flat-screens at eye level when they step out of an elevator. Back in my day, Schwitzer girls entertained themselves with a poorly-tuned piano and rentable board games. For a place committed to education, the volume of brain-rotting screens seems ironic. I’m sure the University could offer rebuttal, but from a student perspective at least, these seem to be the most glaring areas of excess. Private school sure does have its perks. You seem like an angry person for going to such a nice school. Butler is a great place. Enjoy it while you’re there. It goes by fast.